Thanks to the ever-changing BMW lease deals and finance offers, you can drive home to Commack in a new BMW without breaking the bank. 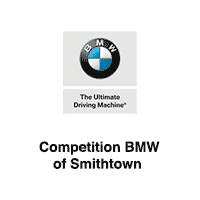 Once you’ve taken a look at our inventory online, it’s time to visit Competition BMW of Smithtown in person! In the meantime, calculate your monthly payments with our auto finance calculator or value your trade to further offset the cost of your next new BMW.